Yesterday, Nokia execs teased the world’s tech bloggers by saying that they had a big announcement, and were surprised that it hadn’t leaked. 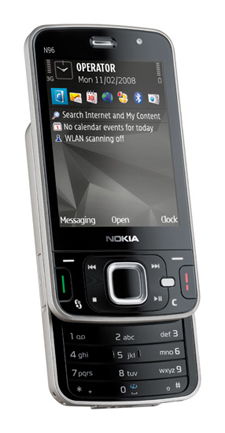 I’m surprised too – the big announcement is the N97. It’s the followup to their brilliant, and ridiculously successful N95, and semi-upgrade the N96. The specs on this baby promise a lot. 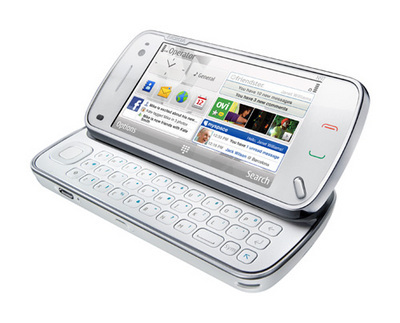 It’ll have a 3.5″, 640 x 360 touchscreen display (16:9, not 16:10), a QWERTY keyboard, HSDPA and Wi-Fi, 32GB(!) of onboard memory, a 5 megapixel camera with Carl Zeiss optics, “DVD-quality” video capture (eat that, iPhone), and a battery that promises to pump out a day and a half of continuous audio playback. No mention of GPS, but I’d be very surprised if it lacks it. Best of all, Nokia promises an ‘always-open’ window to the internet and social networking sites. If that integration runs clearly through the phone, it could be very powerful indeed. 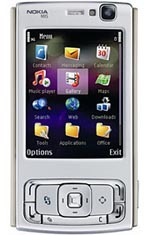 This is Nokia’s answer to the iPhone. The specs certainly win the day, but can they crack the all-important interface? We’ll have to wait and see. 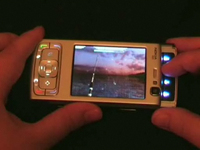 That’s why we’re so thrilled with developer Sittiphol Phanvilai, who has modded an N95 with multi-touch. Using a TV Out, UV lightpens, a flat-screen monitor and UV-filtering film, you can see the awesome results in the video above…. Nokia’s suddenly entered the MWC game, with their N96 causing a huge buzz over in Barcelona. Nokia’s N95 was one of the most hotly-anticipated mobile phones this year (sorry, multimedia computers), but it has faced criticism on two main fronts – its battery life, and its GPS feature. 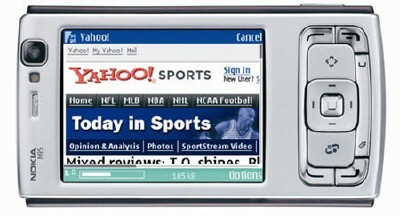 Nokia’s N95 pocket supercomputerphone is heading for an upgrade, if findings on Nokia’s web site are to be believed. An unformatted XML page supposedly reveals plans for an updated 8GB version of the phone – and yes, that’s all anyone has to go on right now. CB2: the child-robots are coming!